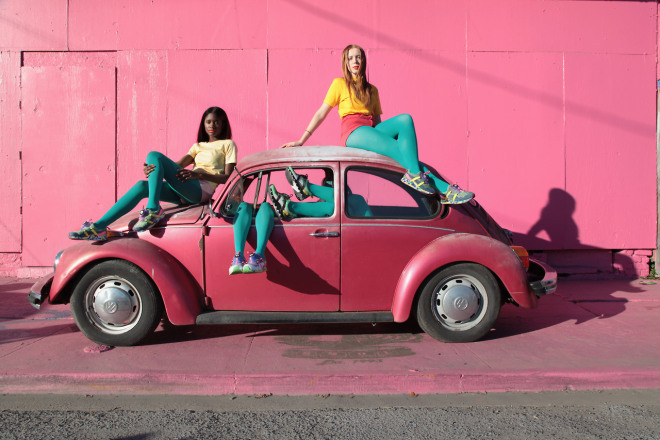 Solange Knowles, you know Beyoncé’s little sister has made her first ever fashion collaboration—vibrant Puma sneakers cheerfully reminding us that summer is, in fact, in our near future. The “Girls of Blaze” collection is fun, warm, colorful , playful bold, and youthful, just like the singer herself. 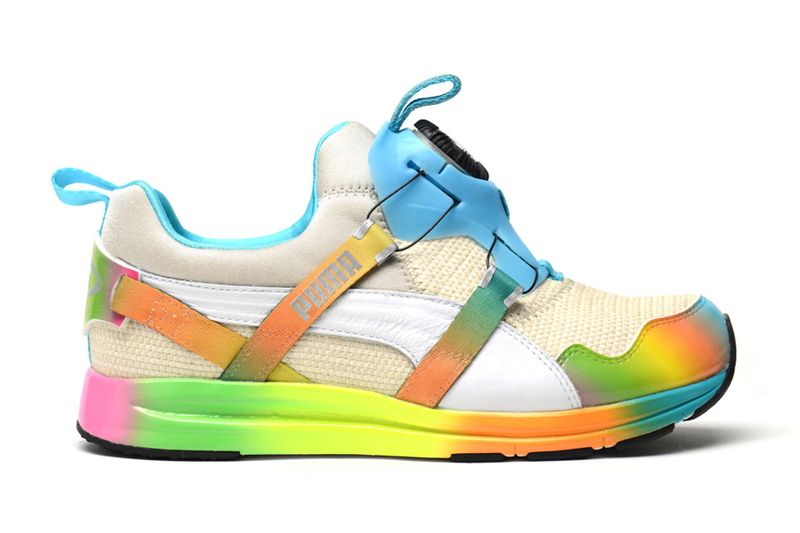 The Puma “Disc” laceless sneaker has conventionally been a men’s-only shoe, but Solange has never been one to adhere to convention. She’s taken a men’s style and made it all her own by pumping up the color and adding multiple textures. 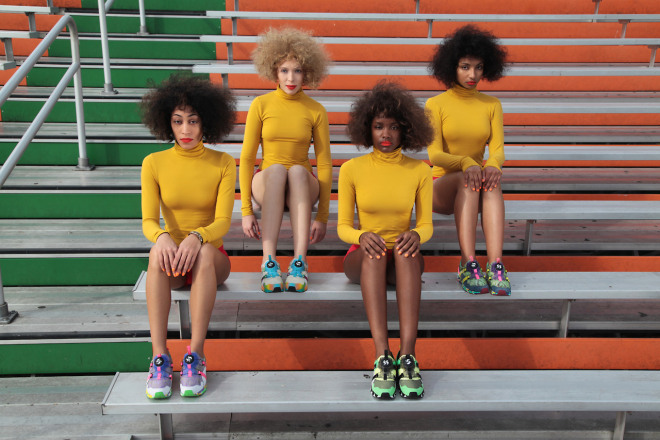 The look is a little 80s, a bit tropical, very sporty, and all Solange. 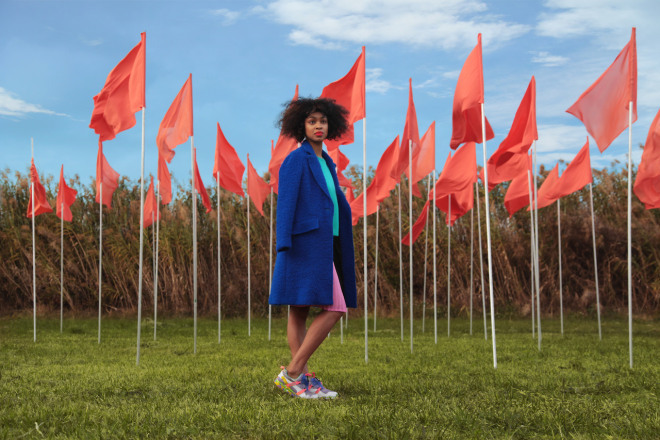 There is nothing understated about the sneakers, and that’s exactly what we’d expect of such a creative woman whose style consistently surprises and delights. I only have one remark, why does she look so WHITE on the pictures, i mean, she’s really beautiful woman with a great skin color and she should be proud to be black , just like her sister. despite all that i love the collection ! Check out my favorite images from the campaign! Posted in menswear and tagged color, Fashion, mensfashion, mensstyle, puma, sneaker, Solange, sport, womensfashion, Womensstyle, Womenswear. Bookmark the permalink.